Addy and Maya have had enough! After being sold some MORE broken toys from the pretend Toy Store, the girls are going to go after the worker and give her a talking to. 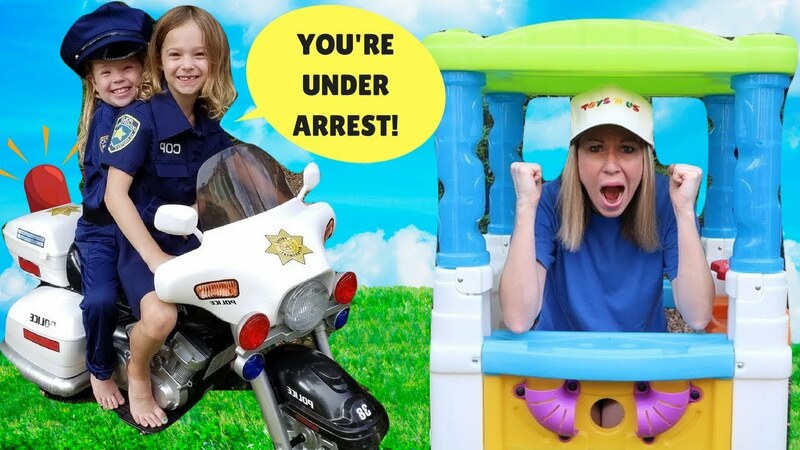 Addy and Maya have a fun time pretending to be police officers in their costumes. Sandy the dog makes another fun appearance in this kids video as well.